Today, we are announcing a programming change in the jazz series. We are sorry to announce that Dr. Lonnie Smith was forced to withdraw due to illness and will not appear on November 3. At the same time, we are pleased to announce that Da Camera’s jazz series will open with a trio led by NEA Jazz Master and drummer extraordinaire Jack DeJohnnette. In a career that spans five decades and includes collaborations with some of the most iconic figures in modern jazz, Grammy Award winner Jack DeJohnette has established an unchallenged reputation as one of the greatest drummers in the history of the genre. 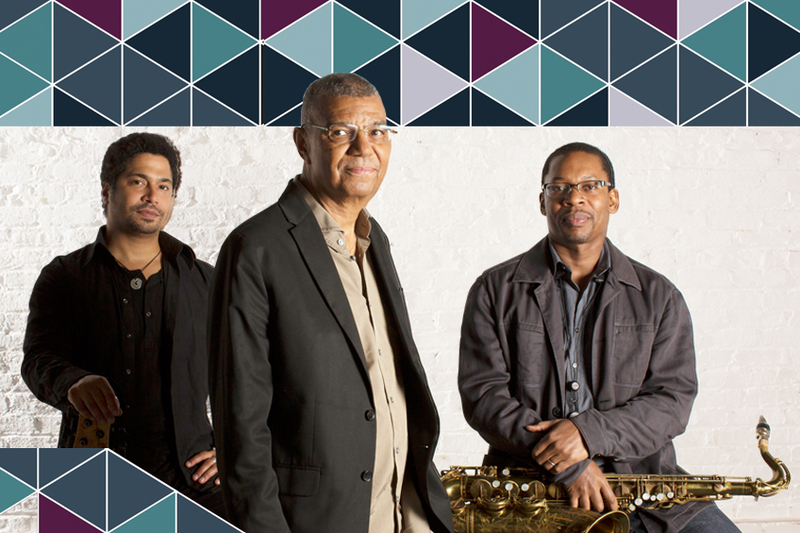 DeJohnette brings together saxophonist Ravi Coltrane (son of John) and bassist Matthew Garrison (son of Coltrane bassist Jimmy Garrison) in DeJohnette * Coltrane * Garrison. Representing the prestigious lineage of today’s great jazz families, DeJohnette * Coltrane * Garrison has received wide acclaim for the ECM recording In Movement. “As a drummer [DeJohnette] runs the gamut from refined, light touches to visceral spontaneity. He finds perfect band mates in the always erudite and appealing playing of Ravi Coltrane and the refined musicality of Garrison,” says All About Jazz. Previously issued tickets for Dr. Lonnie Smith will be honored for this concert. If you have any questions, please call 713-524-5050 or email boxoffice@dacamera.com.